The DRUK JOURNAL, now entering its third year, is contributing to Bhutan’s growth as a democracy and as a modern nation. It is becoming an increasingly vibrant public space in which we encourage our contributors to expand our national discourse by introducing new ideas and concepts into the Bhutanese conversation. Through regular publications, an interactive website, and open discussions after each edition, we engage Bhutanese society in conversation so that all citizens can exchange open and frank views on national policies and issues relevant to Bhutan. The DRUK JOURNAL hopes, not only to inform citizens, but to build a community of people who will take an active role, individually and collectively, in the development of analytical attitudes toward national policies. It is our hope that participation in such a community will encourage individuals to engage in policy research that can be made available to the government and larger Bhutanese society. 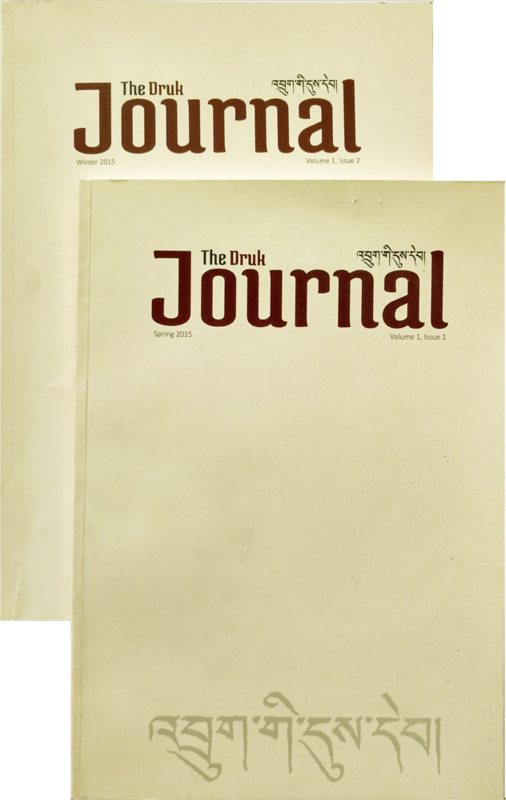 The DRUK JOURNAL thus serves as a vehicle for the development of a community of people who are concerned about national issues and want to participate in the development of policy by thinking publicly and through conversation. Such a community of thinkers will also draw on the experience of other countries in those areas of political, social, economic and cultural experimentation that are relevant to our own concerns. The DRUK JOURNAL is a nonpartisan publication. Our purpose is to serve national interest through the development of serious conversation on issues from every possible constructive point of view. We have no editorial position of our own. We believe that our stated objectives and the means we use to achieve them are the best way we can serve our country and His Majesty the King. We invite the participation of all interested citizens and friends of Bhutan in this endeavour. We wish you Good Reading, Good Thinking, and Good Conversation. Each edition of The DRUK JOURNAL will focus on a particular theme. This fourth edition, with the theme Youth Matters, looks at the situation of Bhutanese youth and how they are developing as leaders and citizens of the future.